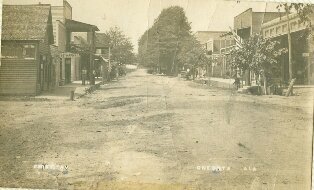 Oneonta was incorporated as a city in 1891. 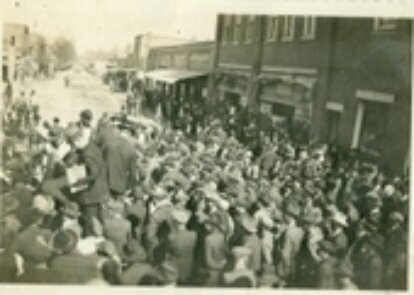 The picture displayed to the left is believed to have been taken around the time the city was incorporated. While records were not kept very well in the early years of the city it is believed that the city was formed as a result of coal mining that was taking place near the Spout Springs area. Originally, Oneonta functioned on the Town Marshal system as did many towns and cities during that time. Records show the official Oneonta Police Department was formed near the same time the city was incorporated. 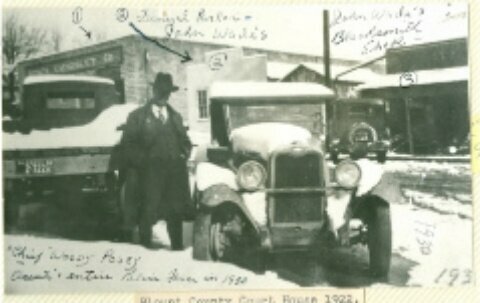 During this time the Mayor, Town Marshal, or the Sheriff of Blount County was used in law enforcement duties in Oneonta. The records show that J.F. Ryan was the first Town Marshal to serve for the Police Department, with the Mayor at this time being J.B. Sloan. Ryan and Sloan’s term ended in 1916 when F.G. Stephens was elected as the Mayor of Oneonta. As the Mayor, Stephens appointed H.F. Gill to serve as the new Town Marshal. Records are vague during this time but the first “Police Chief of Oneonta” was W.E. Nations appointed in October of 1926 by the Mayor A.A. Fendley. Nations continued to sever under the city for quite some time. In the past fifty years Oneonta has seen a lot of changes. 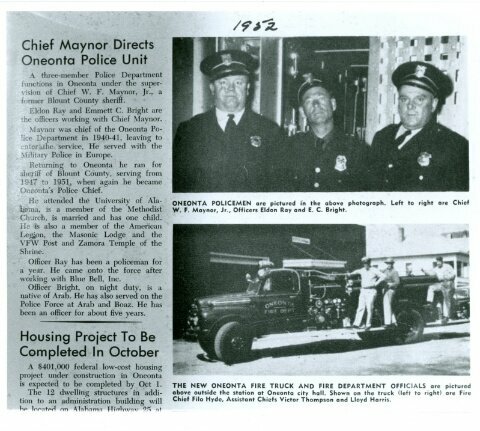 During these fifty years the City of Oneonta has had four Police Chiefs and six Mayors. In October of 2008, the Oneonta Police Department relocated to the current location inside of the Danny B. Hicks municipal complex located at 302 2nd Street North. This relocation was made to fulfill the vision by the late Mayor Danny Hicks to unify the city by moving all departments into a centrally located place. Construction on the complex began in 2007 and was completed in 2008. This construction was a combination of remodeling existing facilities and also adding space for the additional departments. Once construction was completed this put all city departments under one roof. 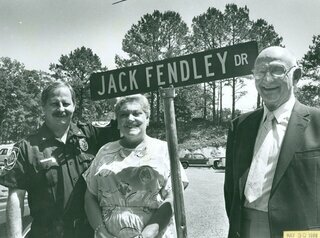 Prior to 2008, the Oneonta Police Department was located at 111 Jack Fendley Drive. The police department was based out of the old national guard armory building from 1988 until the relocation in 2008. Prior to 1998 the police department and the fire department shared headquarters. Those headquarters have since now been remodeled and are the full time headquarters for the Fire Department. In the first years the Police Department did not patrol 24 hours a day as it does now. Police officers carried on their personal daily lives and patrolled or were called when needed. As the city grew so did the police department. Eventually the police department was staffed on a full time basis and the need for police communication was brought into the picture. Prior to handheld radios and scanners, communication was accomplished by the patrol officer periodically checking in with headquarters or dispatch. Patrol officers would call on the telephone or personally go by headquarters to check and see if they were needed anywhere. This time delaying process eventually involved into a series of call boxes that were mounted in locations throughout the city. A light on top of the box would become illuminated when a call was holding. The patrol officer would then have to routinely keep a check on the call boxes to see if he had calls holding. This also worked in reverse order, if the patrol officer needed to notify the headquarters that he was out on a call or needed assistance of some type he would stop at a call box to call into dispatch. You can imagine why this would be a less than ideal way for police communication to take place. Eventually, technology intervened and police radios were introduced thus eliminating the need for the call boxes. Radios put the patrol officers in direct communications with headquarters, dispatchers, and each other. This alone while insignificant made a huge difference to the way that policing would be handled. Citizens would no longer have to wait as long for a police officer when one was needed and officers were now safer by having the ability to call for help when needed. A ten code list was introduced into the picture and is still used today by police; they were intended to be a concise, standard form of communicating between officers and agencies. Police officers of the early years patrolled with nothing more than a night stick. Some would carry whistles and if they encountered someone that resisted arrest or became disorderly they would blow the whistle as a signal to other citizens to assist. In this decade it was known as a hue and cry, it was the civic responsibility of each man to respond and assist. Time and technology has also made it safer and better for police officers. Officers now have a wide array of techniques and tools at their disposal to use in effecting an arrest or encountering violent or disorderly persons. Oneonta Police Department along with all other agencies in Blount County houses all inmates in the Blount County Jail. While the subject may be arrested by Oneonta the housing and supervision of the inmate while in custody of police is done by the personnel at the Blount County Jail. Oneonta and Blount County have a contractual agreement for the housing of city inmates. As the city has grown, so has the strides in the way that police work is conducted compared to the days of early police work. Oneonta Police vehicles are now equipped with state of the art technology including laptop computers with internet access, police radios and hand held radios on the officers duty belt, AR-15 rifles along with a 12 gauge shotgun. Also each vehicle is equipped with dash mounted camera systems and stinger spike strips used to terminate police chases in a safe and quick manner. Since the incorporation of Oneonta, Alabama the Police Department has seen an addition of an investigations division. The creation of this division split the department making the patrol officers officially assigned to the patrol division. Currently the Police Department operates on four divisions with a total of 24 sworn officers. We have a field training officer program, a reserve officer program, and the school resource officer program. As time have changed we have been forced to change with them, these changes have resulted in officers being specifically trained in traffic homicide investigations, commercial vehicle enforcement, evidence technicians, narcotics investigations, and special operations units. As the world keeps ticking and new adventures come about you will continue to see changes in a police department that proudly strives to serve its’ community.